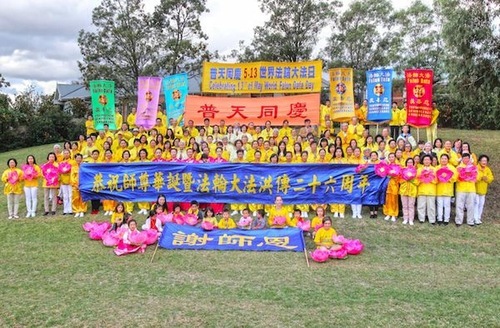 As World Falun Dafa Day (May 13) approaches, practitioners around the globe are celebrating the occasion. Below are recent events in Sydney and Melbourne, the two largest cities in Australia. Activities in Sydney started with group exercises on the morning of May 5 at Hyde Park, followed by a parade at noon. Many pedestrians stopped to watch and take photos. Some said they would share their photos on social media. Adele Greenwood saw the parade with her daughter and friend. She said, “This group is calling for their basic rights to practice the principles of Truthfulness-Compassion-Forbearance [in China]. They are also doing it in the best and most peaceful way. I hope all nations and governments will support this,” she said. Aleksandra Niewiara said Faun Dafa will bring a better future. A young couple from China said they had seen Falun Dafa activities when visiting Hong Kong and thought it was very good. “Many young people in China only care about their owns things and do not think about things like this [standing up for freedom]. Falun Dafa practitioners are really remarkable,” he said. Celebration in Melbourne took place on May 5 and 6 at Box Hill and Wheelers Hill, respectively. 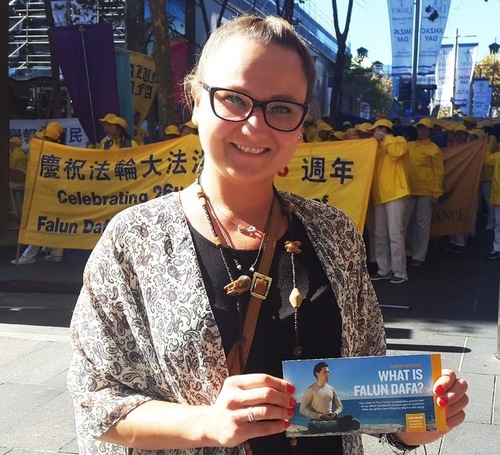 Silvia, a software engineer who has practiced Falun Dafa for 14 years was glad to be a part of this year’s celebration. Her mother became a practitioner in 1996, but it was not until 2004 when she moved to Las Vegas that she heeded her mom’s advice to take up cultivation. She attended a Falun Dafa conference in Los Angeles. “At the conference, my tears kept rolling down as I saw Master. I began to genuinely cultivate Falun Dafa since then,” she said. 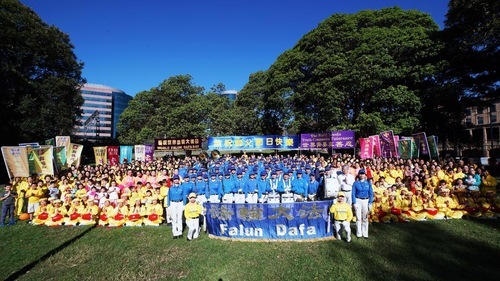 Celebration of World Falun Dafa Day at Wheelers Hill on May 6, 2018. Another participant of the event, Tina Sofos, a television host, shared her story with the practice. She said a divorce 20 years ago had made her life miserable. “My son was only four years old. Because my world collapsed, the pressure and pain also affected my son and ex-husband.” She had to rely on medicine to control her mood. Then someone introduced Falun Dafa to her and she began to read Zhuan Falun and do the exercises. Her doctor was amazed by her improvement and stopped her medication. A passerby at the event, Mr. Wang, who had come to Melbourne to visit his family, said he often saw practitioners doing exercises at a park near his home before the persecution began in 1999. He later learned more about the brutal persecution and felt sorry for practitioners. “The society in China is a mess now since people just want to make more money and very few care about moral values. I think Falun Gong is good for society and the persecution is doomed to fail,” he said.